The beach was NOT good the 2nd day. A lot of oil and tarballs had washed up during the storms and rain, so they were a little behind on clean up. Here is the view from Tacky Jack's for lunch. About 2 minutes later we had to go running inside b/c of the rain. 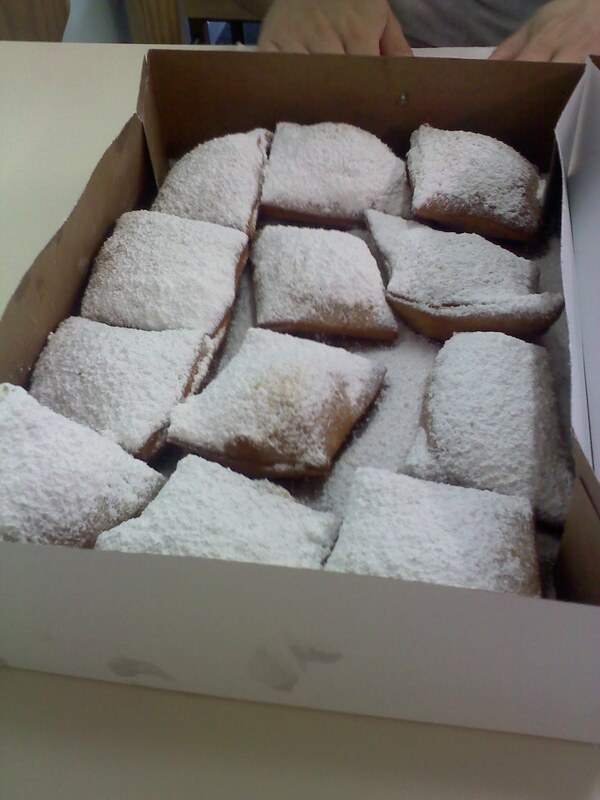 Our breakfast from Cafe Beignet. YUM. On the beach later that afternoon after the rain FINALLY stopped. The shoreline after the clean up crews made their rounds later in the day. They were trying really hard to get everything clean as quickly as possible for all the beachgoers. Looking down the beach at all the condos.